VALENTINE STAMINA WORKOUT and DRIIIINKS! 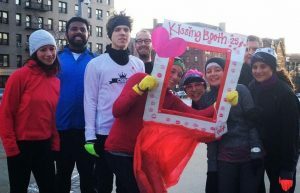 Join James for Tuesday Night Stamina workout on February 14 (7:45pm at Grand Army Plaza bike racks) and head over to Bar Sepia after for some Valentine Day Drinks! For Singles, Couples…Everyone! BROOKLYN HALF ENTRY. YOUR SECOND CHANCE! If you are nterested in running the 2017 Airbnb Brooklyn Half (but didn’t sign up within the 26minutes before it sold out! ), we have some additional opportunities for you to race for the club. Come out to one of our group runs or socials and chat with a run leader about your interest! Wear your favorite CHRC gear to run the race in! *Your selection for the Brooklyn Half is subject to the CHRC Royal Council’s discretion. Did you miss out on our planning meeting this past weekend? Let us know if you want to be in on the planning for accommodations, food and transportation up to the race. We are a 11person strong team and we’re so excited for this opportunity to enjoy Breakneck Ridge and Beacon, NY together in April. Send us an email at contact@crownheightsrunningclub.nyc to be in on the CHRC group plans. Contact DAVID right away if you want in on the Airbnb House we’ve booked for April 14-16 (limit is 9 people, first come first in). If you don’t know David’s contact info, send us an email at contact@crownheightsrunningclub.nyc. We are also planning on 2 pre-race trips up by train to run parts of the course which will be either Saturday March 11/18 (let us know if you have any strong preferences) and on Sunday March 26. Our Webmaster, Spencer has set up a Master Race List which includes all the major races that our Royal Members are running in 2017! Use this to see who is running with you and learn about other races you might like to run with CHRC. Please note that this spreadsheet is public. 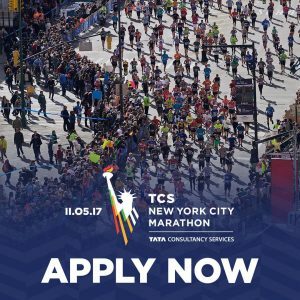 The TCS NYC Marathon application period closes THIS FRIDAY. For folks who have earned guaranteed entry, you must register by February 17. For those who are marathon hopefuls, you have until February 17 to enter your name in to the lottery. Join over 50,000 runners take the streets of Manhattan every November for 26.2 glorious miles. Will you be one of them this Fall? Do you have questions or want to talk out your pros and cons of signing up? Feel free to chat with us at our events and runs this week. After a few snowy, slushy, icy days — the weather looks like it may brighten up this week and allow for outdoor miles and cardio. Have a wonderful week CHRC and let’s hang out soon!